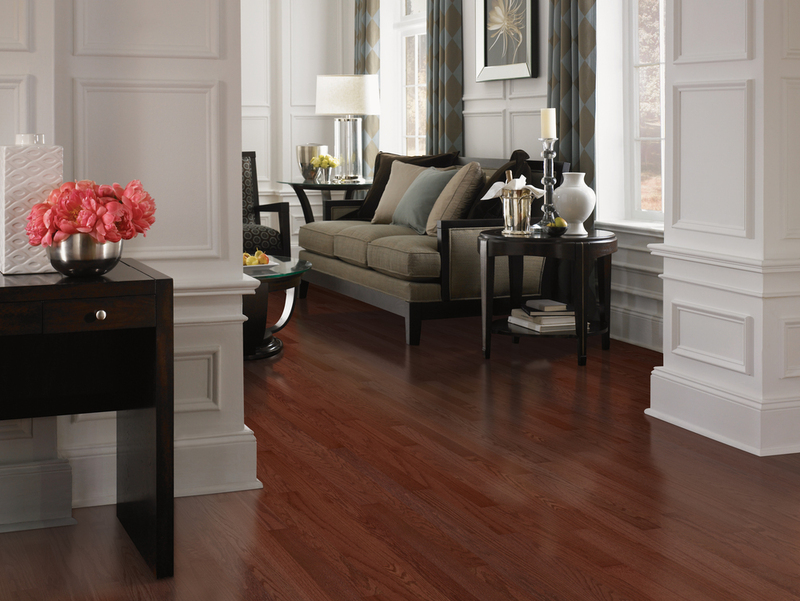 Hardwood flooring is a classic, durable and hypoallergenic flooring solution. Add value, texture and warmth to your home with hardwood. It is a classic, durable and hypoallergenic flooring option. Looking to refresh your hardwood floors? We will refinish your hardwood flooring offering you choices of stain color and finish preferences. Let our designers help you narrow down the options to find the perfect choice for your home. Than have our expert installers complete your project . See our Buying Tips for several points to consider as you begin shopping. Whether you have had wood floors for a long time or just rediscovered them under old pieces of carpet it is important to consider refinishing them. Refinishing fixes problems such as dings, holes, dents and scrapes. The process is a great way to breath new life and shine into your home. This refreshening of your hardwood floors will always bring more value to your property. Texture is more prevalent that ever before. High variation texture and distressed looks are on the rise. Patterns and layouts are getting creative on floors. Varying widths and use of patterns are making the floor a statement area. As for colors the trends lean toward more extreme darks, lights and a mixing of the two. Recycled and sustainable materials are on the rise such as Cork, Bamboo, Engineered Hardwood, American Made products. Service in Delaware County, Chester County, Montgomery County, Delaware and South New Jersey including West Chester, Downingtown, Havertown, Newtown Square and Kennett Square. FREE on-site consultation or visit our showrooms in West Chester or Broomall, PA. Boyle's is here to assist in reviewing samples, measuring rooms and estimates.